The “conservatives” are so desperate to get more Blacks into the Republican Party, and, so desperate to prove that they aren’t racists, that they’ve re-invented Martin Luther King, Jr. He’s now a conservative Republican. Never mind that King traveled in far-left political circles and associated with communists such as Stanley Levison, James Dombrowski, Carl Braden and Fred Shuttlesworth. (Strangely, there’s an airport in Alabama named after Shuttlesworth. Do you think they’ll ever name an airport after William Pierce or David Duke?). I might have voted for Goldwater back in ’64 if I was old enough. Anyone would have been better than that damn LBJ. And I would have voted for Nixon or Wallace in ’68. The Nixon campaign expertly managed to siphon off a lot of Wallace votes. But Presidential candidates no longer care about courting the votes of White working and middle-class Americans, they’re too busy sucking up to the Jews and spics. But the blogger is totally correct, “Doctor” King would never have stood side by side with the likes of fools such as Sarah Palin or Glenn Beck. So at least King and I have that much in common. A conservative is someone who steadfastly conserves the gains of the radical sixties. Yes. Most conservatives have no problem with conservative women working outside of the home for 10 hours per day – in other words, feminism. Getting shot was a good career move for MLK. He was instantly transformed into a saint and heroic human rights martyr. The apotheosis is now complete and the mantle of ‘conservative’ is bestowed on his horniness. Conservatives & Liberals (including feminists) are part of the same coin. I will give you an example. In my country it’s illegal for a Frenchman to do a DNA test to determine if he is the father. “Any paternity testing without a court order is banned, due to the official desire to “preserve the peace” within French families.” Germany, and Australia are implementing the same Orwellian law very soon. You can read her article, basic theme is this “Paternity test should not be mandatory at birth”. Second, doctor cannot tell woman’s husband/boyfriend of her infidelity. Both political groups are puppet of the Jews, and when sheenie say Jump, they only ask how high. Because, Jews control media. Period!!!! I forgot to mention, in continental Europe, above stated law was created by conservative party, and Germany (Christian Demo, and Green Party), and Australia (both parties vying for it), and UK/Canada/USA Liberal, and Conservatives. It’s time for us White/European nationalist to look beyond political parties. We should only do what’s good for our race regardless of it consequence to other race, and nation. Pat Buchanan always makes a lot of good observations and commentaries but he will never come right out and say what everyone knows to be the truth, viz., niggers are just plain dumb and lazy. They cannot live in a White dominated society under White rules and expectations. They have a slave mentality that makes them wholly dependent on the government. So I guess Buchanan is the System’s token “paleo-con”, the guy whose job is to redirect the conservative White man’s anger at Blacks, Jews and liberals into harmless channels. Or am I being too cynical? Patrick J. himself seems like a good chap. But he does work for the Enemy of our Race. Pat Buchanan support Israel which speaks volumes of where he stands. What’s galling is Glenn Beck. Listen to him go on about King all the time, almost crying about the man. I wonder if Beck is in love with the guy. It’s just goofy and disgusting, and really outdoes all the conservatives playing up to King’s memory. Imagine a White guy having a man-crush on Michael King. To King’s credit he would never have wanted anything to do with a wretched character like Glenn Peckerhead. Pat may give lip service to Israel, like many others, but I doubt he would continue sending American blood and treasure to keep the Jewish state afloat. They’d be on their own. Almost “all” conseratives support Israel. Why, I know not. They would do better with themselves these days if they would try to make Farrakhan a conservative. Except he will not co opt. His call for self sufficiency for blacks does not requite them getting off welfare. And his call for a homeland does not include Africa, but a welfare like state in America by the tax payer for the next 20 years or so. Who asks people to act like this, such as Newt Gingrich not asking blacks to get off welfare, or more mysteriously deny the cuts in social security made by most of the press in 95 when the Republicans first took control of the House and Senate is indeed the mystery concerning such freaks and Gingrich and maybe even Farrakhan if he could get that low, and brings out the jew. Farrakhan thinks he is jewish btw. So a mystery to his “thinking” or any conspiracy involved is less of a mystery. Farrakhan thinks he is jewish btw. So a mystery to his “thinking” or any conspiracy involved is less of an issue anyway. 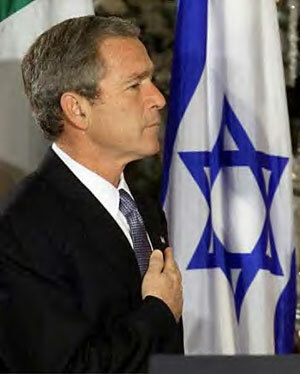 Today, fellow white nationalist hate Obama, yet he is no different than Bush. Obama gay bath house are well known to public. Bush may be able to hide his perversion but this doesn’t change the fact that he is a feckless nincompoop, and same goes for both party members. Of course Jews have always lost power in the end but, that fact is they have taken down the nation they consider their mortal enemy. I.e. Phoenician (also known and Canaanite), Babylon, and our good old Roman Empire/Republic. None survive their insane onslaught on hapless citizen.